Premium-quality micrograin carbide tips are ground on specialized CNC equipment for an extra-fine finish with maximum sharpness and edge retention. 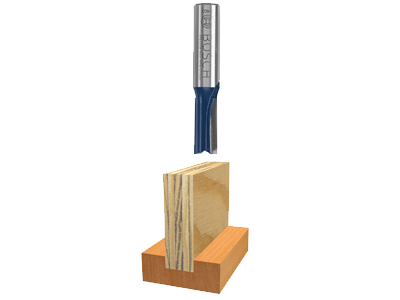 Plywood mortising bits are nominally sized to match the actual thickness of the plywood to produce a tight-fitting joint. The fully hardened and tempered steel shank provides ultimate durability.